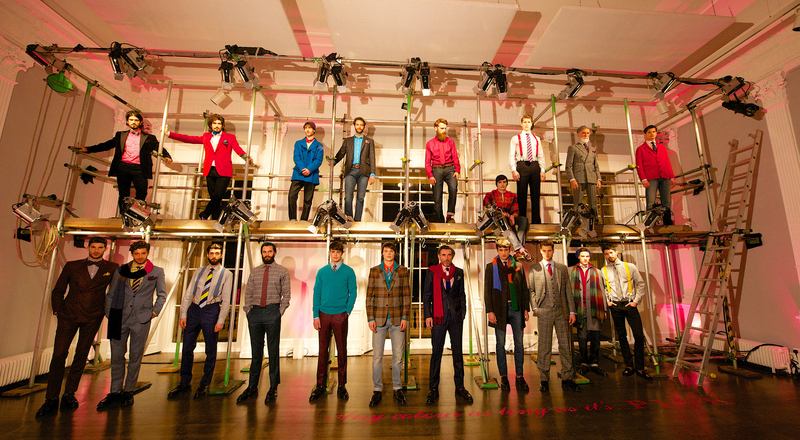 For its first official turn at London Fashion Week, Thomas Pink definitely drew lots of attention. 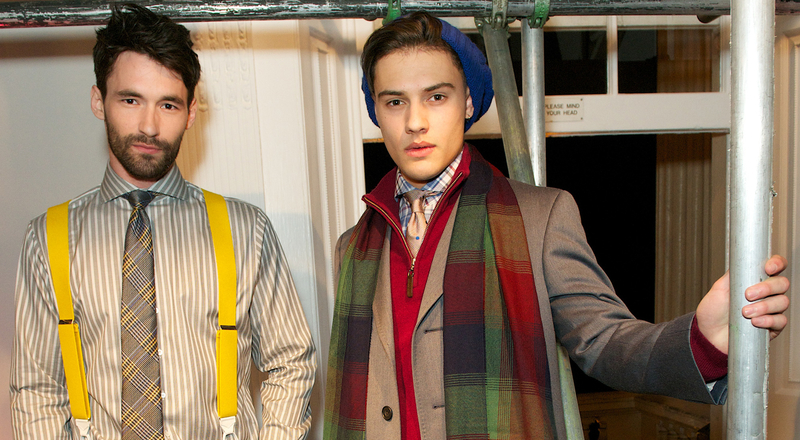 Nearly 200 guests were invited to the Institute of Contemporary Art to discover the clothier’s Fall/Winter 2014 collection. The full-fledged fashion happening was orchestrated by the brand, with models lounging on an installation made of metal scaffolding and punctually mingling with the crowd in an interactive showpiece especially created for the occasion by London creative duo Bompas&Parr. Inspired by the contrast between the structured geometry of the city of London and the subtle variations of light in the marine landscapes painted by Turner, the collection is an ode to chic superposition. 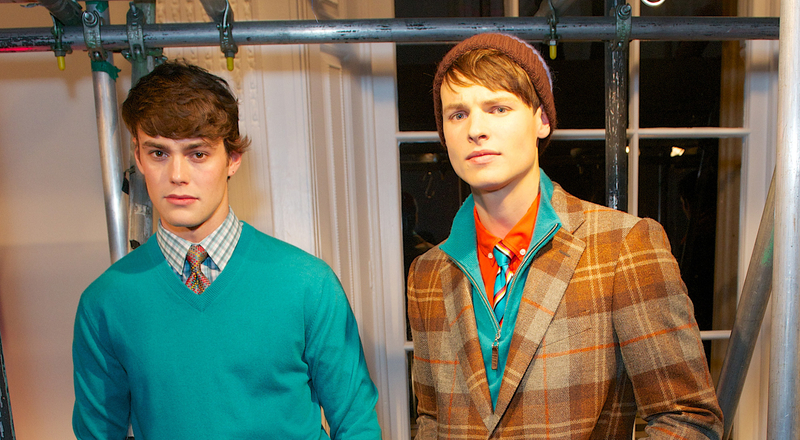 Typically British tweeds were paired with light cotton poplin, brightly colored silk ties, or soft matt cashmere. The combination of noble materials and reinvented textures creates a truly timeless masculine silhouette.